All South African drivers are required to have a credit card format driving licence. This is automatically issued when a new driver receives a licence. The credit card style driving licence expires five years from the date on which it was issued. The expiry date appears on the card. Before the card expires, you should apply for a new card. Note: Motorists must verify all personal and address particulars with any motor vehicle or driving licence transaction. These documents can be used as proof. Ensure that you are 18 years and older and have a valid learner’s licence. However, you can apply for a licence to drive a motorcycle (up to 125 CC) if you are over the age of 16. Have your eyes tested at the driving licence testing centre on the day you make your appointment. Make sure you have two identical black and white photographs measuring 45mm x 35mm. Make sure your face is clearly visible and that the background is clear, with no shadows. If your religion specifies that you cover your hair, you may do so, but your face must not be covered. Your picture should be printed on photographic paper. Ask a professional photographer to take your picture so that you get the best quality. You can apply at your nearest driving licence testing centre. Your application will specify, in accordance with your learner's licence, which type of vehicle you would like to drive (motorcycle, car, minibus etc). Once you have applied for the licence and have passed the eye test, a date will be set for your driving test. Have a valid learner's licence. Know and understand the road traffic signs. Have a sound knowledge of the rules of the road and the different signals which a driver of a vehicle is required to give when driving on a public road. Are generally capable of driving the type of vehicle specified on the application. Study materials are available at libraries or can be bought at various shops to help you prepare for your driving test. Many people hire a driving instructor. Once you have passed the driving test, you will be issued with a temporary driving licence while your credit card format driving licence is prepared. Once the credit card format licence is ready for collection, you will be notified in the post. When you collect the licence, you need to produce your ID. Licences that are not collected in 120 days are destroyed. an affidavit stating why the driver cannot collect the licence himself/herself which also states the name and ID number of the person collecting the licence. A temporary driving licence costs R45. 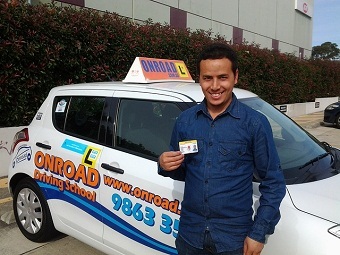 Once you've applied for your driving licence, you will need to get driving lessons to prepare for your test. You will also need to understand the rules of the road and traffic signs, and demonstrate your ability to drive a vehicle. Once you are ready to take the test, the traffic officer will test your knowledge and skills to determine whether you’re ready to get on the road. When you pass your test, you will receive a temporary licence. A few weeks later you will receive a letter to notify you to collect your driving licence card. If you cannot fetch your driving licence, you can send someone else to get it for you. an affidavit stating why you cannot collect the licence yourself. Your credit card driving licence is only valid for five years and needs to be renewed before the expiry date, which appears on your licence. Don't wait for the renewal notification. Check your licence to make sure you don't miss the date. You can renew your licence at any time before your licence expires. The new licence will be valid for five years from the date of the renewal. To renew your licence, you need to complete the DL1 application form at your nearest Driving Licence Testing Centre. Before your licence can be renewed, you will need to have your fingerprints taken and you will have to undergo an eye test. If your sight has deteriorated since your licence was issued, new restrictions may be attached to your licence. For example, you may be required to wear glasses when driving. Should you fail the eye test completely, your driving licence will not be renewed. You are not required to undergo the driving test again. South Africans who are overseas at the time that their driving licences expire can only renew their licences when they return to the country. At present, there are no penalties for late renewal. If your driving licence has already expired when you go to renew it, you will have to get a temporary driving licence while you wait for the credit card licence to be issued. In this case, you will need an extra two black and white or colour photographs. There is a R140 licence renewal fee. There is also a fee of R45 if you require a temporary licence. If your driving licence is lost, stolen or destroyed, you can apply for a replacement licence by completing form DL1 at any driving licence testing centre. In order to replace your licence if it has been stolen, you will need to obtain an affidavit from the police stating the circumstances in which the licence was stolen. If your licence has been misplaced or lost, you will need an affidavit from a commissioner of oaths. You also need to complete Part C of form DL1: Application for Driving Licence, obtainable from your nearest driving licence testing centre. 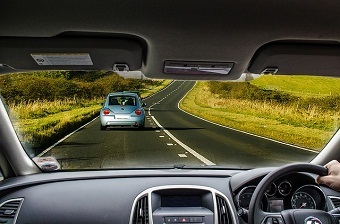 You will be issued a temporary driving licence which is valid for six months or until the replacement driving licence is issued, whichever occurs first. To apply for a replacement licence, you need to complete form DL1 at any driving licence testing centre. The temporary permit costs R45, while the fee for a replacement licence is R140.